In Black Dagger Society, we like to host “Safari Nights” where we go around exploring areas and smashing elites to (1) get revenge to all of those reds that killed us while leveling, and (2) work towards the rares achievements. The last one, we ended up on Farside, which is a very neat area on a moon with low-grav and everything. When you’re on Farside, you get a helmet. 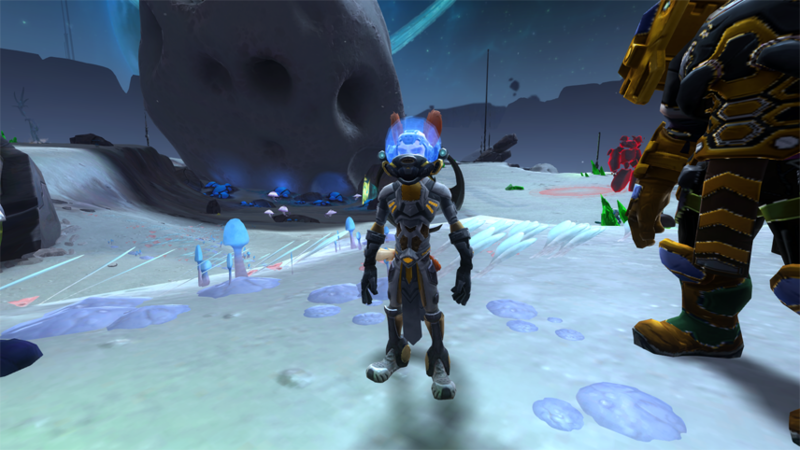 One of the guildies designed a costume just to wear while on Farside to match his helmet. 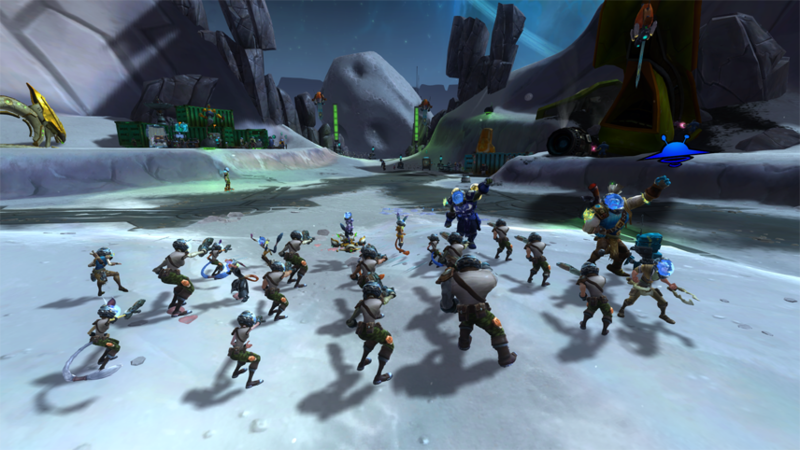 There’s some soldiers doing drills out on Farside, so we decided to start a Rave with them.